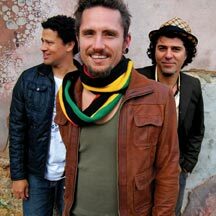 Just a reminder: the John Butler Trio will be performing at Britt this Thursday! John BUTLER… as in Chuck BUTLER… as in, John is Chuck’s nephew! Needless to say, we at Butler Auto are beyond proud to be sponsoring the John Butler Trio’s Britt appearance on September 1, 2011 at 7 p.m. For info on the band, visit: www.johnbutlertrio.com and http://jbtserver.com/blog/. For the complete 2011 Britt Festival line-up, visit: http://www.brittfest.org/performances. Can’t wait to see you on the hill!